Typhoon Haiyan (known in the Philippines as Typhoon Yolanda) is the second-deadliest Philippine typhoon on record, killing at least 4,852 people in that country alone. The thirtieth named storm of the 2013 Pacific typhoon season, Haiyan originated from an area of low pressure several hundred kilometers east-southeast of Pohnpei in the Federated States of Micronesia on November 2. Tracking generally westward, environmental conditions favored tropical cyclogenesis and the system developed into a tropical depression the following day. After becoming a tropical storm and attaining the name Haiyan at 0000 UTC on November 4, the system began a period of rapid intensification that brought it to typhoon intensity by 1800 UTC on November 5. By November 6, the Joint Typhoon Warning Center (JTWC) assessed the system as a Category 5-equivalent super typhoon on the Saffir-Simpson hurricane wind scale; the storm passed over the island of Kayangelin Palau shortly after attaining this strength. Thereafter, it continued to intensify; at 1200 UTC on November 7, the Japan Meteorological Agency (JMA) upgraded the storm’s maximum ten-minute sustained winds to 235 km/h (145 mph), the highest in relation to the cyclone. At 1800 UTC, the JTWC estimated the system’s one-minute sustained winds to 315 km/h (196 mph), unofficially making Haiyan the fourth most intense tropical cyclone ever observed. Several hours later, the eye of the cyclone made its first landfall in the Philippines at Guiuan, Eastern Samar, without any change in intensity; if verified, this would make Haiyan the strongest tropical cyclone to make a landfall on record, surpassing the old record of 305 km/h (190 mph) set by Atlantic Hurricane Camille in 1969. Gradually weakening, the storm made five additional landfalls in the country before emerging over the South China Sea. Turning northwestward, the typhoon eventually struck northern Vietnam as a severe tropical storm on November 10. Haiyan was last noted as a tropical depression by the JMA the following day. Typhoon Haiyan caused catastrophic damage throughout much of Leyte and Samar islands, where cities and towns were largely destroyed. As of 6:00 p.m. local time on November 16, the National Disaster Risk Reduction and Management Council (NDRRMC) confirmed 3,637 fatalities across the country, 3,432 of those taking place in the Eastern Visayas. The actual death toll remains unclear, with the total loss of life estimated as low as 2,500 by President Benigno Aquino III to as high as 10,000 by various sources. As of November 13, Red Cross estimated that 22,000 people were missing while approximately 65,500 people were listed as such through Google Person Finder.Google, however, cautioned that this value is not to be read into, as shown during the 2011 Tōhoku earthquake and tsunami when more than 600,000 names were listed in contrast to the final death toll of roughly 20,000. In Surigao City, 281.9 mm (11.10 in) of rainfall was recorded, much of which fell in under 12 hours. Storm surges were also recorded in many places. In the island of Leyte and Samar, PAGASAmeasured 5–6 meter (15–19 ft) waves. In Tacloban, Leyte, the terminal building of Tacloban Airport was destroyed by a 5.2 m (17 ft) storm surge up to the height of the second story. Along the airport, a storm surge of 4 m (13 ft) was estimated. Waves of 4.6 m (15 ft) were also estimated. On the western coast of Samar, the storm surge was not as significant. 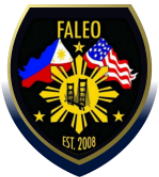 As a “Law Enforcement Fraternal Organization”, FALEO is committed to insuring that relief will be given to our law enforcement counterparts First Responders who in turn will assist in distribution to affected victims in the communities that they serve. Please consider donating to the cause by any of the following ways below. Cash donations are tax deductible to the fullest extent allowed by law.  (We are a 501(c)3 organization as per the Internal Revenue Service Code). We will continue to update this page with Donor information. All proceeds are strictly for relief efforts. All donations will be acknowledged by letter upon request.